This is a signed and numbered limited edition print by the late Mick Cawston. It's from an edition of 850, printed 1993 in England. 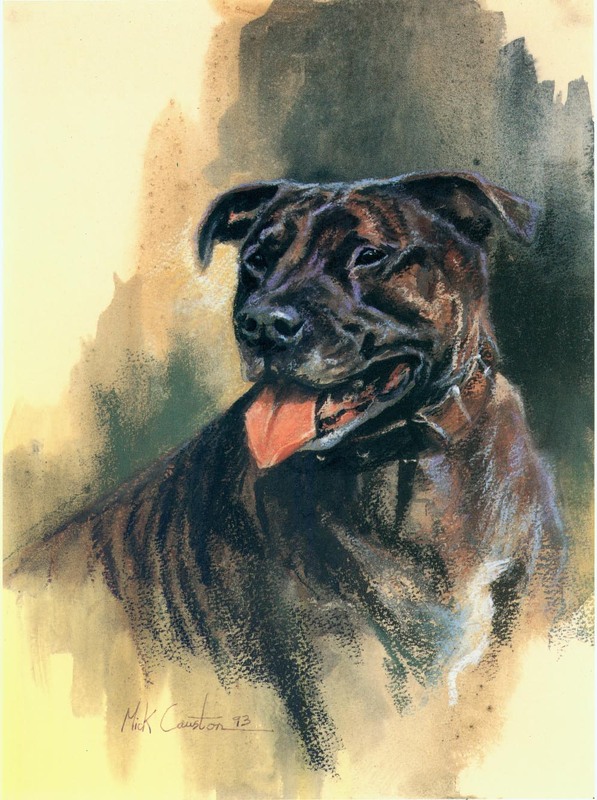 Mick Cawston was one of the world's finest dog painters. He was also a master of anthropomorphic pictures and and humorous country scenes. He had a most amazing relationship with the countryside and its people and they had a great love and admiration for him. His work is comparable to that of John Emms or Maude Earl and he worked equally well in oils, water colours or pastels. No matter what breed of dog he portrayed, the character and likeness of the dog were always superb. Image measures 6.5" x 8.5", is printed on heavy paper, with a substantial border on all four sides.